…Right off the bat I will say that we are proud of the game and what we have achieved overall….However, our view is perhaps skewed, and we are now realizing that we have been looking at this perhaps from a different perspective and that many players do not accept that…..
….Back in late 2012, we set out to do Trine 3 in full 3D – bigger, badder, better. We took a big risk with the 3D gameplay implementation – it was to be a massive improvement over the previous games in several areas…this time our ambition may have gotten the better of us. …As for the cliffhanger ending and DLC – there are no plans for a DLC….The future of the series is now in question, as the feedback, user reviews and poor media attention has caught us by surprise. Regardless we will continue to fix and update Trine 3: The Artifacts of Power, as we’ve always done with our games, and I’m confident we’ll get many issues fixed shortly (including some of the technical bugs and multiplayer problems). I apologize for those issues and I ask for your patience as we work those out…..
We will be more active on the forums next week – we’ll probably be able to do some support on the forums and by email for technical issues but for other discussions we’ll get back to next week. Right now we need a breather to bounce back from all this. The statement at least acknowledges the game was possibly too ambitious for its own good and the budget set for the game was used up to its maximum. It is always difficult to create a game with a limited set of funds, especially when the cost to create the game was higher than expected. As Frozenbyte stated, perhaps some of the risks they took for the game such as creating it in 3D rather than 2D was too risky for its core audience alienating long time fans. It is reassuring to hear Frozenbyte apologized for the issues players have encountered during the game and is committed to fixing up the game so the product is better overall. It is unfortunate to hear Trine 4 may not happen in the future due to all the negative feedback and financial strain the game had on the developer. 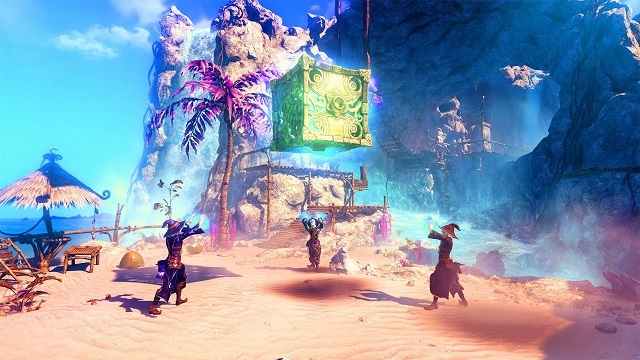 Have you played Trine 3 The Artifacts of Power? Do you agree with Frozenbyte’s latest statement in response to feedback from the community? Do you want to see Trine 4 in the future? Share us your thoughts and reactions below.